The new Fortnite challenges are here again! It’s Week 8 of Season 5, so here are a few choice tips for this week! We’re getting into the late season now, but as the teases for the future start, we’ve still got another batch of Fortnite challenges to tick off. As is normal for this season, the challenges are split into Free and Battle Pass tiers. 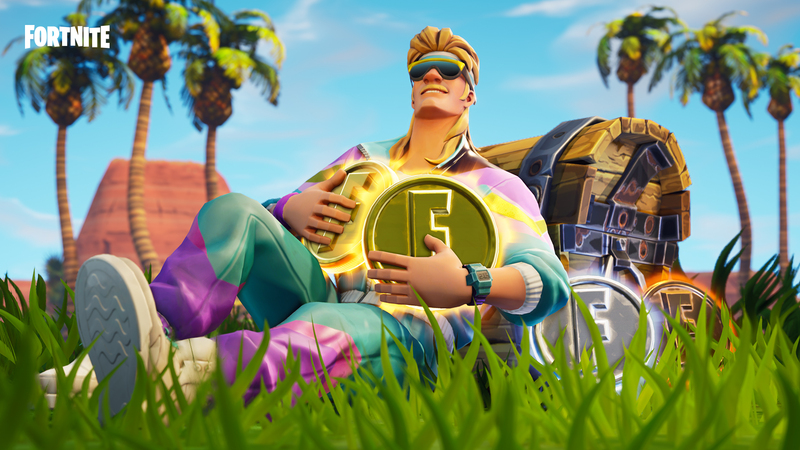 The Road Trip skin has been available since last week, but if you’re struggling with finishing one of the other weeks – timed trials anyone – now’s your chance. Your reward for completing four of the seven challenges this week is a chunky 8,000 XP – so well worth doing if you’re shooting for the fully kitted out Drift and Ragnarok skins. The only challenge we won’t go into here is search between three oversized seats. We’ve got a full map of where to land to collect that Battle Star, so follow the link on that text if that’s what you need. Simple enough, the only trick will be trying to search some out. If you head over to one of the new Solid Gold LTMs – either squads or solo – it looks like a lot of the floor spawns can be traps since all the weapons are higher rarity. If you’re just going for the challenge don’t be too precious about actually trying to hit someone with a trap, just place it as soon as you pick one up. A return to the old-style chest challenges in week 8. The main place to look for chests in Wailing Woods is in the hedge maze at the area’s centre. Two chests can spawn in the hut in the middle of the maze, while another four can spawn at each of the maze’s corners. There’s another chance at grabbing a chest in the far west of the Woods, inside the open trunk of a car. Fortnite’s shotguns aren’t what they used to be, and are easily outclassed by SMGs in unaccustomed hands. However, if you’re struggling use the old trick of jumping into duos, squads, or 50v50, and knock down an opponent with any weapon you want. Then finish them with a shotgun and it’ll count towards your progress. We’ve had this one in previous seasons and it’s making a return in week 8 of season 5. It’s easier this time around though, since you don’t actually have to eliminate an opponent with the pickaxe and the damage carries over multiple games. Try to jump people early in the match when they don’t have a weapon, or just like with shotguns attack downed enemies in squads. You could always try and pick this up at the same time as the search between challenge, when loads of people land at the same place with no weapon. There was a challenge very similar to this only a few weeks ago in week 5 – the only difference is that you can’t use the same rift multiple times, or the new Rifts-To-Go. Rifts open up all over the map, so go about your business in named areas and you should eventually come across ten for the challenge. Otherwise you can try dropping in spots like the Motel between Lazy Links and Junk Junction, or the Viking longship. These spots often have rifts in them. You’re heading over to Flush Factory for this one. If you’re after a full guide, follow the link above. But in short, make your way over the to mountain north of the toilet in Flush. Another staged challenge for week 8! These are simple to complete, but you have to do them in separate games. All you need to do is take someone out in a specific area, and if you’re attempting the challenge around when they go live, there’ll be plenty of other people ready and waiting to jump in too. Once you’ve ticked off the first stage, you’ll get another assignment in the menu with another location.